Frankly, if you are looking for an alkaline oils list, you might be disappointed. Without seasonings and flavorings, oils are neutral. However, you cannot ignore fats and oils in a healthy diet. 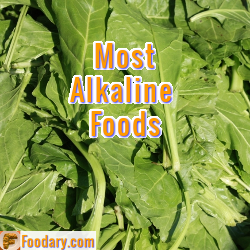 You should know that managing alkaline foods correctly involves other nutrition factors. A good alkaline diet is not just about alkaline foods. It is about balancing acid and alkaline forming foods, but even more, it is about balancing all your nutrition requirements. Oils, which are liquid forms of fats, have had a bad name in healthy eating plans. However, it is wrong to say all oils and fats should be avoided. What needs to be avoided is bad fats and oils.